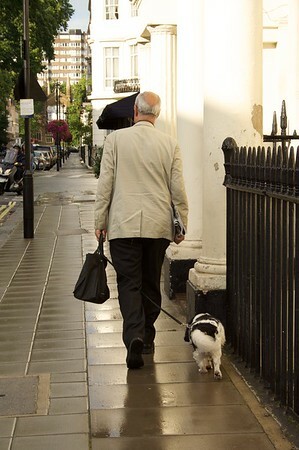 A selection of shots from a rainy week spent in the UK capital city. 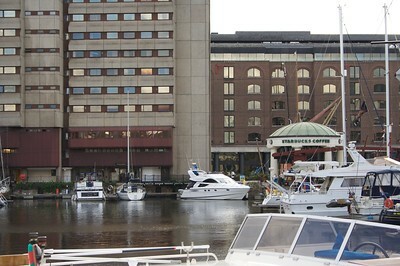 Restaurants and shops in the Dockland area. And our first dinner in London on this trip. Starbucks may be closing a bunch of stores but they still seem to be everywhere. 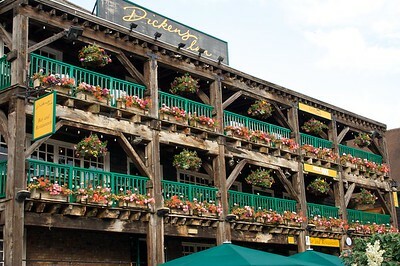 Including this location on St. Katharine's dock, near the Tower of London and Tower Bridge. 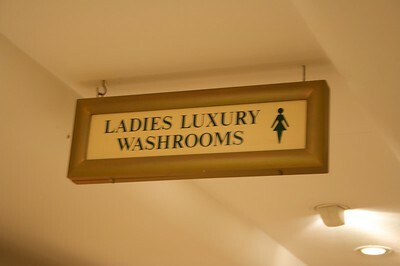 Harrods can't have just ordinary toilets, right? 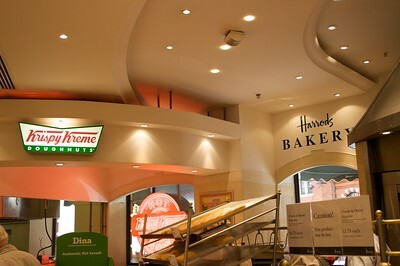 Harrods, one of the most famous stores in the world, has a food hall like many department stores in London. And what do they feature in their high class bakery? Another favorite shot from our London trip last month. 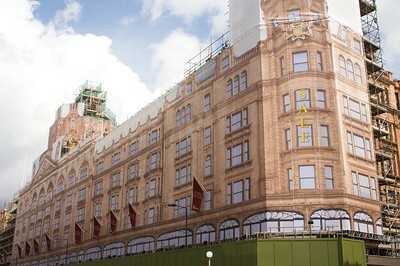 Lots of restoration going on in the city but only Harrods had the class to cover their scaffolding with a picture of the building itself. With some very threatening skies in the background. 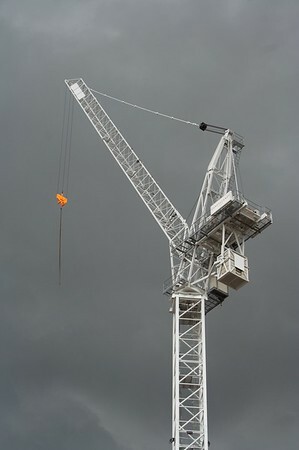 I like this image for the intricacies of the building but also for contrast of the gray, threatening skies. 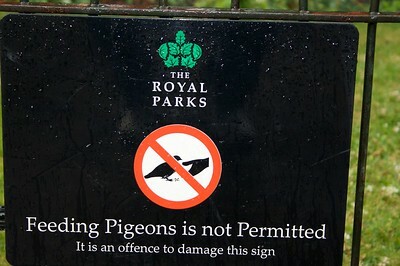 No idea what the fines would be for either feeding the birds or damaging the sign telling you not to feed the birds. 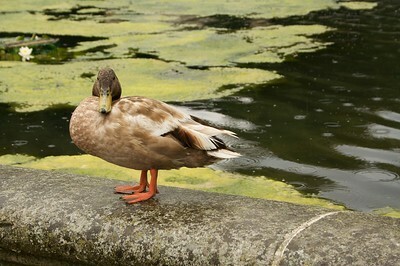 This duck in Kensington Gardens was giving me the evil eye while I was trying to take his picture. 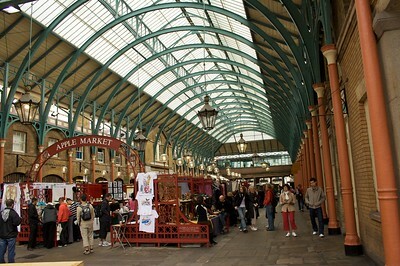 Stalls in one part of the market which, of course, was where Henry Higgins discovered Eliza Doolittle. Much has changed since then but still an interesting neighborhood. 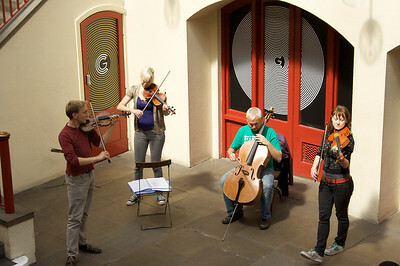 A quartet presenting some classical sounds in a very acoustical corner of Covent Gardens. Not a great shot or anything significant. 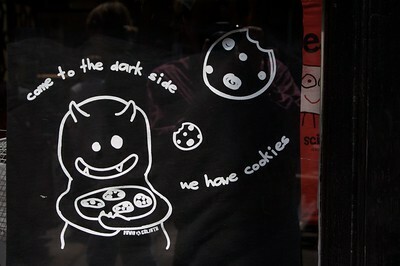 But this t-shirt I saw hanging in a gift shop window just makes me smile. 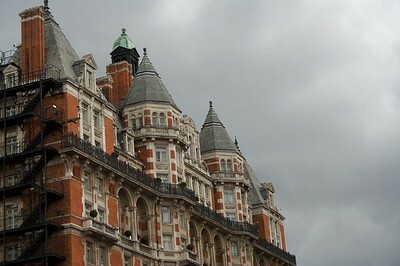 The building was identified as part of the Imperial College of London. 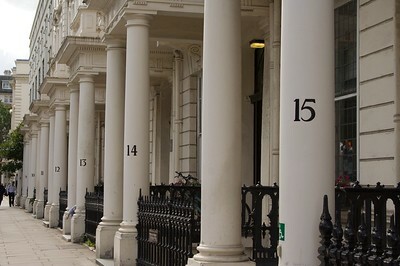 I liked the pattern of pillars with the numbers. 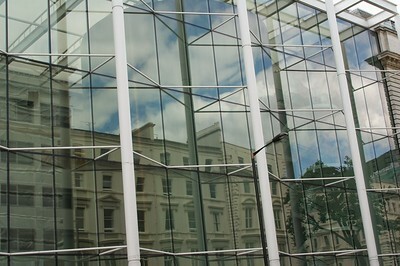 Reflection of an older structure in the windows of a newer building on the campus of the Imperial College of London. 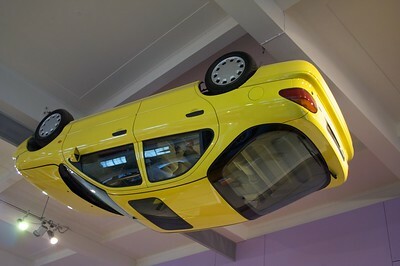 Part of an exhibit on technology in Great Britain, I guess they had no where else to put this car but hang it from the ceiling.